Saturday, March 30th and Sunday, March 31st from 10am – 3pm. 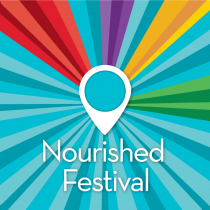 The Nourished Festivals are the greatest events on earth for those living a gluten-free, allergen-friendly or special diet lifestyle! Traveling to ten cities per year, Nourished Festivals allow attendees to sample and purchase new products, meet brand ambassadors, receive coupons and attend educational classes. The Festivals have five zones to visit: Gluten-Free, Nut-Free, Paleo, Keto & Plant-Based. All products in all zones are gluten-free. Cobb Galleria Centre, 2 Galleria Parkway, Atlanta, GA 30339. www.nourishedfestival.com/expos/atlanta.